About the simplest thing you can do to preserve your lavender is to cut it, tie it in bunches then hang it to dry. Bunched lavender tied tightly with string. Be sure the bunches aren’t too thick or they might rot in the middle. Tie the string very tight or use a rubber band as it will shrink as it dries and all the stems will fall out. 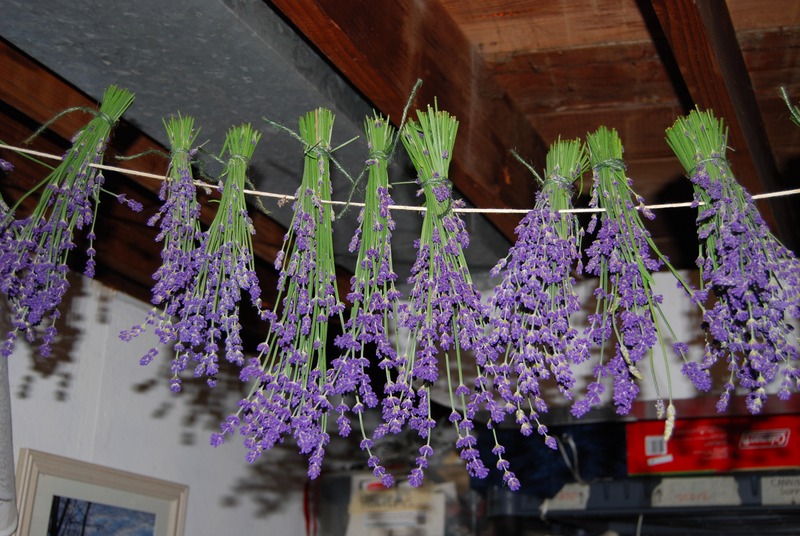 Once you have your cut and tied lavender hang it upside down in a dark place with good air circulation to dry; I tie a string between the rafters in our basement for this purpose. Drying lavender in the basement. 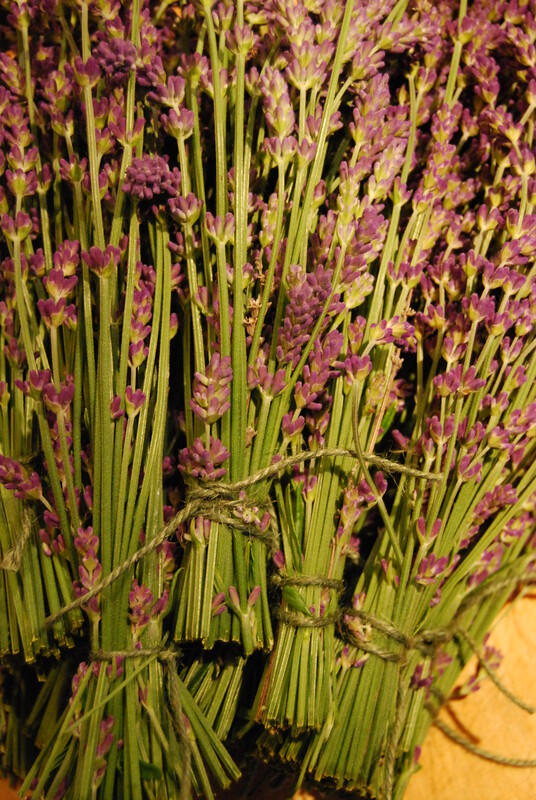 Once the lavender is dried put it in a basket, cover it with a cloth to keep dust off and store in a dark place. I toss these dried bunches into gift boxes and baskets to fill empty spaces and bring the smells of summer days.